This first blog will talk about the biggest cultural differences between the US and Italy. Once I have felt three old men in Florence speak of the recipes of their wife’s cake for over an hour, while in America we don’t care about the quality of the food, the important is that it is a lot! The Americans repress all of their emotions up to when they don’t end up losing their head. The only positive side of an American supermarket is that there is not a whole pig’s head sitting on a counter in a casual way. The Americans love the euphemisms. “You have a cold wound on the lip?”. In Italy there is not at all euphemism, rather they will bluntly tell you “Oh! You have herpes, how disgusting!! Once, I was walking down the road and a woman stopped me to say: “you should eat more. You are too much thin”. At the postal office, I have asked more and more times to the employee: “Are you sending this to Iran, correct ?”. I have never seen a five-year-old child in a stroller in the United States unless the legs didn’t work for some terrible motive and the pacifier, out of question. If you go to New York or in some of the more “fashion cities” you will find people dressed right, nevertheless, the great part of them seem satisfied without too much effort. You can see the greatest difference in the USA’s small cities, where you will often see people making shopping with the pants of the overall. Nevertheless, in a certain sense, women are also very respected. I know, it doesn’t seem quite this way, but in a certain sense, it is. The violence towards the women is extremely tall in the United States that show the dark side of the confused mentality “equal but hated” of the American culture. The United States is enormous, therefore, it doesn’t surprise that the Americans have gotten used to the “space”. They don’t need the same personal space. Sometimes you’ll touch other people. And? And nothing. The United States always boasts that it is “free.” The brands have a lot of freedom but I feel very less “free” in the United States than in Italy. They don’t feel themselves constantly observed and you know that if you make a small driving error they won’t claim your life. Credit to LovingItaly Travel blog! 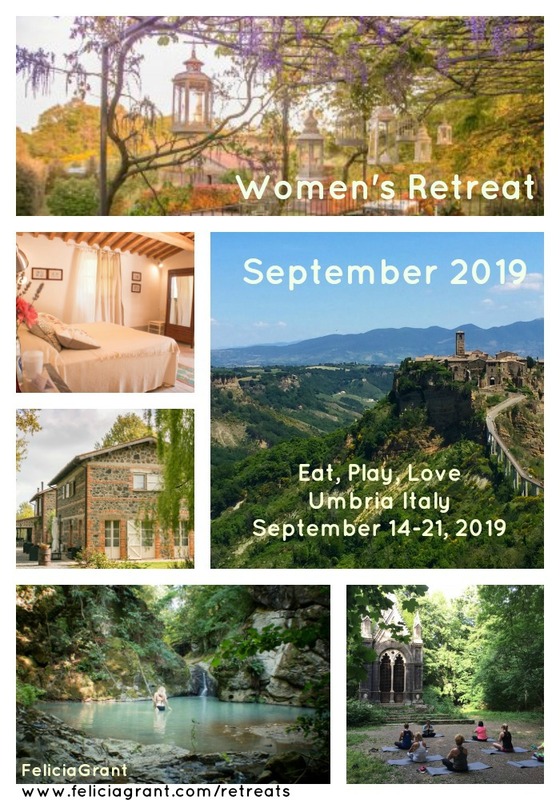 I am so excited to have Jill Watson joining us as our Yoga instructor for the Eat.Play.Love Umbria retreat in September 2019. I first met Jill when she attended the Costa Rica DragonflyExperience retreat. 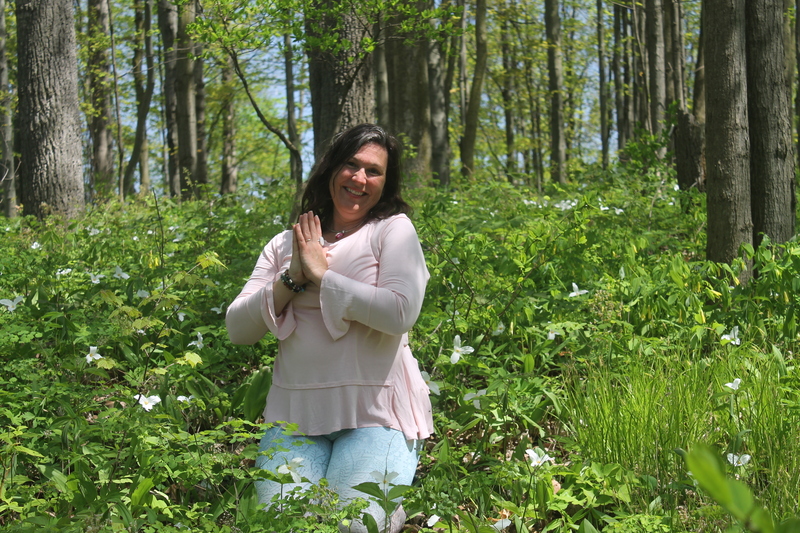 Jill is an amazing yoga instructor and a such a positive beautiful soul…….I feel very fortunate to have her as part of our healing team in Italy. Jill is a certified yoga teacher, who has been incredibly blessed to learn from many master teachers during her thirteen-year career. Her love of skating from an early age drew her to yoga, as many of the poses are so similar to moves on the ice, along with the solitary focus and self-discipline that skating fosters. Further study and powerful personal transformation compelled her to reach out and teach others. 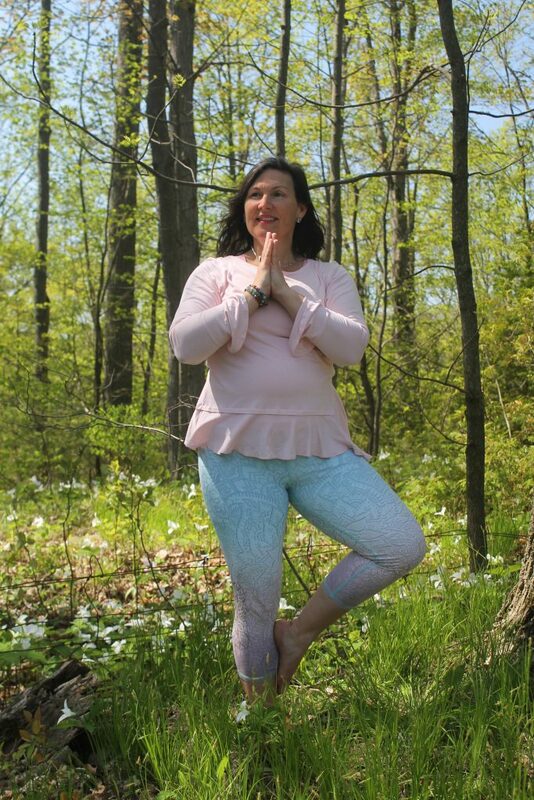 She resides in the serenity of her family farm with her wonderful husband of twenty-seven years, where she teaches and shares the great benefits of yoga practice. She is also mother to, and in awe of, her amazing twenty-five-year-old twin sons. Jill is so looking forward to being a part of your personal journey in Italy. Find your Center in Umbria! 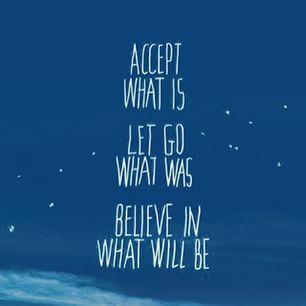 The Art of letting go….. This most recent journey began for me in September 2018 when I had planned a retreat called the Art of Letting Go in Dahlonega Georgia. Little did I know this was going to be the catalyst for one of the biggest lessons in my life. Here is a little background information leading up to this retreat. I have been facilitating and leading retreats at the Dahlonega Spa Resort for the past 8 years. About to turn 60 years old; a milestone birthday on September 6th and a large family celebration starting on September 10th. This past April my father decided that he no longer wanted to have a relationship with me because it was causing him too much stress with his wife and daughter (my half-sister) so he decided to take the path of least resistance and once again push me under the carpet where I’ve been most of my life. Each one of my women’s retreats has a different theme and creates an energy that is felt long long before the retreat ever happens. There is something magical that happens and attracts the women that need the energy of the retreat to heal……Imagine my surprise when I find out I am one of those women! I guess the old saying “we teach what need to learn” is still ever present in my life. Three weeks before my planned retreat I get an email that Dahlonega Spa Resort was sold to a local vineyard and was moving in a different direction; possibly away from retreats and more towards weddings. I realized that this would most likely be my final retreat at a place that l loved so dearly! A year earlier when I set the intention for The Art of Letting Go did I realize how pregnant that intention was. I felt a whole series of emotions leading up to the retreat and how much transformation for my participants and myself had taken place there over the past 8 years. But when one door closes another one opens. My birthday celebration began with a Magical family Disney Cruise and ended with Hurricane Florence ripping thru my home Wilmington North Carolina and displacing my husband and I for over a week before we could get back home. My children and grandchild ending up in a Red Cross Shelter while trying to get home from Florida and a whole host of emotions of what was to come for the small Eastern North Carolina community. We arrived home in the midst of roads being closed and debris everywhere you would see for miles and miles…..By the grace of god we only had minor damage to our home but there was a lot of loss around me. It made me realize that what we have can be gone in the blink of an eye. How things can be alright and next minute the road in front of you is flooding and you end up being rescued by FEMA. These series of events made me start to think about what was important in my life. My husband, my children and grandchildren and of course our chocolate Lab named Hope. But, what about the rest of my family?? I grew up with the thought that your family was your family no matter what. You loved and respected your family even if you did not get that respect back in return. As a small child I learned a behavior that I needed to please everyone in my life so that they would love me. Now at 60 I am trying to learn to LET GO of that behavior because it has not served me well and has caused to great pain in trying to understand why people do not think/behave the same way I do. 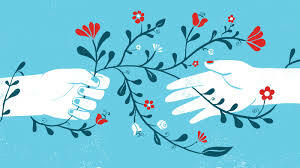 There are people (family members) in my life that I have shown unconditional love over the years even when it was not returned but yet I still tried and tried to get these people to love me in the way I wanted them to love me. I’ve spent countless hours trying to figure out why they don’t return the same love shown to them. 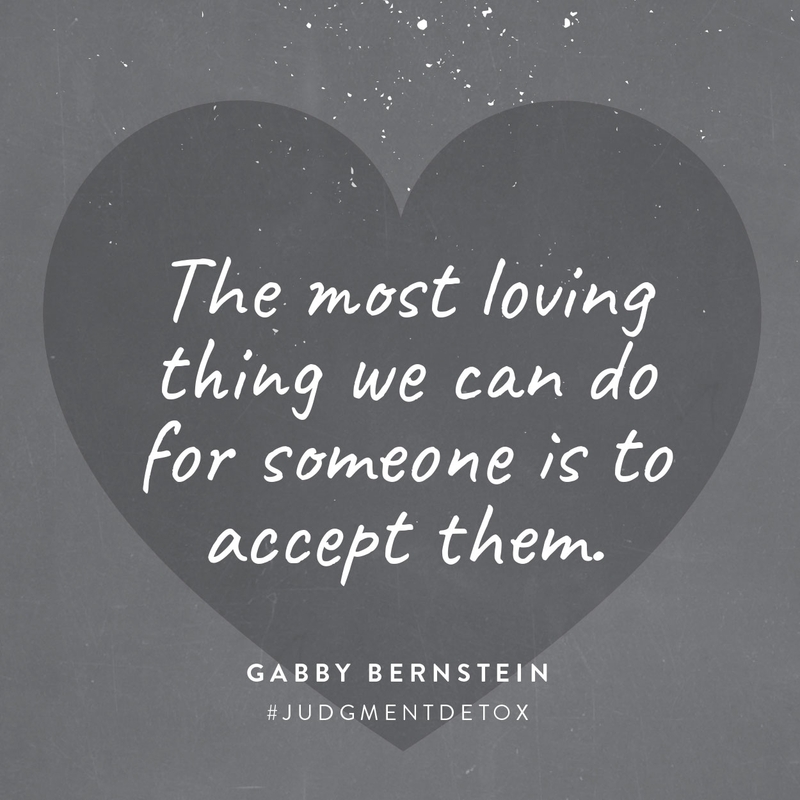 After some deep soul searching, it finally dawned on me recently that I was not taking the same advice I shared with clients over and over again about self-love. You know when you love yourself it doesn’t really matter that other people think or do. When you forgive all the wrong doing in your life and most importantly you forgive yourself things magically get better…Right? I realized that my perception of life and love was different than my family members that have shunned me and turned away and that was alright. It was not up to me to make them see my point of view or see the world thru my eyes because they have their own lens, their own story, their own idea of how I fit into their life and it might not look anything like mine. Turning 60 has given me a whole new way to look at life. I am now willing to let go of these relationships and stop hanging on to what I want because otherwise it’s just too painful. Letting people go with love and allow these deep wounds to heal and realize that this is the life I chose after all. The life I ask for and the lessons I wanted to learn in this lifetime. These are the people I chose to help me learn the lessons for this life’s journey. So, why would I hold it against them? I’m going to do a better job of loving myself first and foremost and appreciate the people in my life that love and support me no matter what because these are my people these are my tribe! Here’s to letting go of the pain from lost relationships and wasting useless time and energy trying to figure out why? We are only here on this planet for a blink of an eye and it’s time I stopped wasting time and get on with my life. 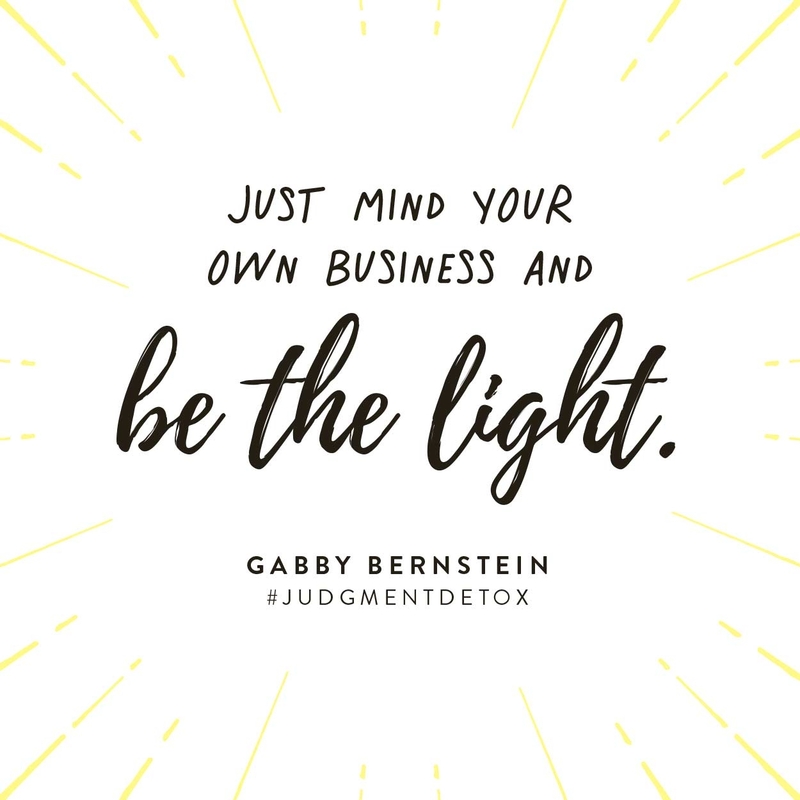 I love this quote from James Van Praagh “It’s none of my business what other people think of me.” If you have relationships that are only one-sided maybe it’s time you send those people off with love and light and join me in living the life you intended full of love, joy and peace. Amazing Sound Healer Mark David joining us in Italy! When Mark was 6 years old, he had a near death experience (NDE). However it was not till later in his life that he was able to put all the events of his life, including his NDE, into perspective and found his true calling, working as a Sound Therapist and Medium. Mark has been involved in numerous spiritual and healing trainings and is Certified as a Sound therapist and sound healer from the Globe Sound Healing Institute. Certified in a modality of the tuning fork therapy from Soma Energetics as well as voice training with Grammy Award Winner Winner Claude Stein. Mark has recorded several Sound Healing CD’s. To hear Mark’s healing sounds click here! 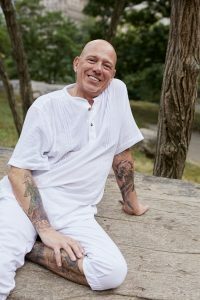 I feel so fortunate to have Mark joining our healing team for the Italy retreat September 14-21, 2019 in Umbria, Italy. 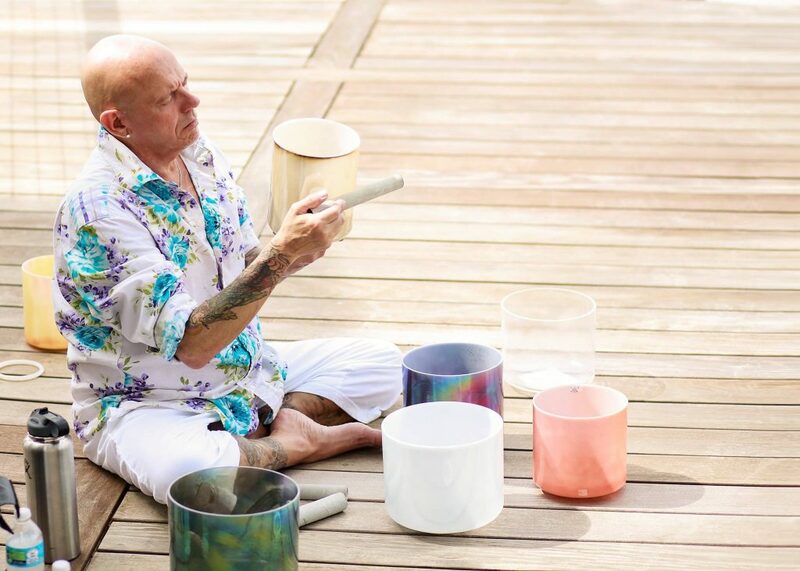 At the retreat Mark will be offering a Sound Healing Bath where he will use the crystal bowls in a group setting as a tool to facilitate a shift in the participant’s consciousness and to allow your body, mind and spirt to relax and let go at profound levels. This allows your body to find its natural balance while creating space for insights. People often find resolution for emotional issues and a sense of coming home to themselves. As well as working with us in group settings Mark will be available for private Sound Healing Sessions throughout the week. The Sound Bath is a healing session you can experience while resting in a safe and secure place. A Sound Bath is an experience which is particular to each person. Instruments are played such as the didgeridoo, harmonium, heartbeat drum and Tibetan singing bowls. The results are waves of peace, heightened awareness, and relaxation of the mind, body and spirit. Some people experience emotional healing. others great insights into their lives. A Sound Bath can be an unforgettable sound experience for those who seek deep relaxation, rejuvenation and an acceleration of their inward journey. Time is suspended as you enter a world of vibration, sensation and experience. Physical injuries can be healed and old emotional traumas released. Great insights can be accessed. You feel truly, vibrantly alive. Once you’ve had your first Sound Bath you’ll want more. I found my way to Sound Healing many years back when I bought my own set of Crystal Sound Healing Bowls in Venice Florida. I wanted more information on the “healing” aspects of the crystal bowsl and was introduced to Dr. Mitchell Gaynor Professor at Cornell Medical Collage. Dr. Gaynor discovered the profound healing aspects of using the bowls with cancer patients to help in the recovery and healing process. Because of Dr. Gaynor Tibetan and Crystal bowls are now found in and around oncology units and used as alternative therapies to assist cancer patients. Here is a YouTube featuring Dr. Gaynor. I now incorporate the healing aspects of the crystal bowls into every retreat I offer. The feedback I get from my participants is so positive that they want me to play the bowls everyday of the retreat….LOL! For more information on the Italy retreat…..